Bloem informed of Mentor's ministerial position offer by Guptas - SABC News - Breaking news, special reports, world, business, sport coverage of all South African current events. Africa's news leader. Bloem took a spin and said he couldn't remember whether Mentor raised any concerns in a portfolio committee discussion and requested that they discuss the Guptas and she had claimed. 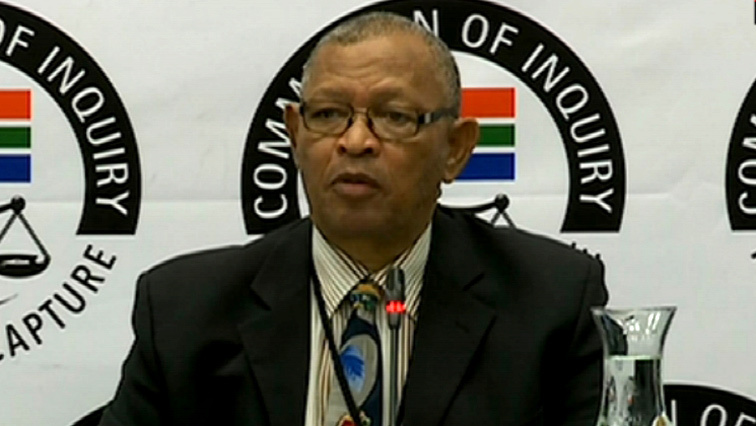 Former African National Congress (ANC) MP, Dennis Bloem, has concluded his testimony at the Commission of Inquiry into State Capture in Parktown, Johannesburg. Bloem, who is now the National Spokesperson of the Congress of the People (COPE), says former ANC MP Vytjie Mentor called him to a meeting in Parliament in 2010 where she informed him of a request from the Guptas. This followed Mentor’s evidence earlier this week, when she told the commission that she had informed Bloem, who was a member of Parliament’s Joint Standing Committee on Intelligence, about her concerns regarding the Gupta brothers. Bloem took a spin and said he couldn’t remember whether Mentor raised any concerns in a portfolio committee discussion, and requested that they discuss the Guptas as she had claimed. Bloem, however, confirms that at a later stage he did hear from Mentor who told him about a ministerial position offer from the Guptas. “She said she first asked them how come they are offering her such a position – because according to her, it’s only the Head of State, the President who can appoint ministers – but they said to her no we will make sure that you become the minister if you agree,” says Bloem. This entry was posted on 14 Feb 2019,12:27PM at 12:27 PM and is filed under Politics. You can follow any responses to this entry through the RSS 2.0 feed. Both comments and pings are currently closed.